Increase your command of the guitar. 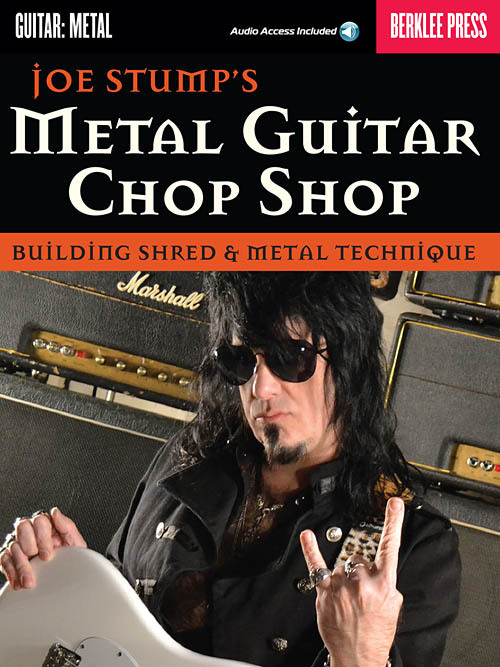 Joe Stump reveals licks, techniques, and exerises to build your guitar technique. Learn licks and techniques comon in rock/metal sytles, and commit them to finger memory. The online audio tracks include drum tracks for exercise practice, and backing tracks for Joe's technical etudes/solo transcriptions, which are notated in both tablature and traditional notation.